The Bebbo has an ingredient you don’t see often in cocktails: filtered or clear honey. This is regular honey that’s been processed until all the pollen and other debris is completely gone from it, leaving it clear in color. Naturally, a drink that features a quarter ounce of honey is going to be on the sweet side. 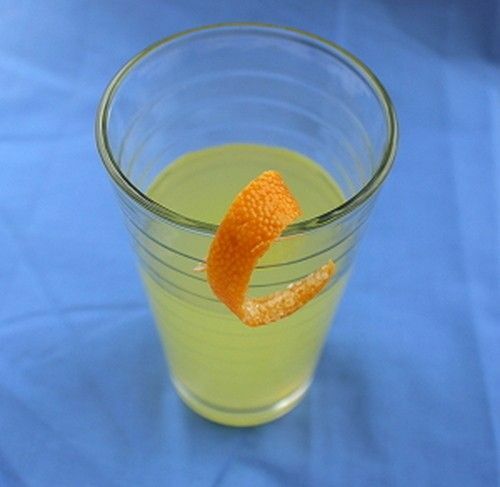 But it’s tempered with citrus in the form of a healthy portion of lemon juice, a touch of orange juice and three ounces of gin. Fill a cocktail shaker with ice and pour in the ingredients. Shake until chilled and strain into an old-fashioned glass.